A rip rap shoreline all looks about the same from a distance. So you have to get up close and fish it, then you’ll start seeing the little irregularities in the rocks that hold bass. Rip rap fishing is a haven for bass on waterways lacking natural cover. It holds baitfish and usually has current running against the rocks so bass use it as an ambush spot. Here are three tips for rip rap fishing to catch bass on those rocky banks. Rip rap provides plenty of hiding places for bass. Any kind of indentations in the rip rap where rocks have fallen off and piled up into a little point are good hot spots. The bottleneck section below a bridge is another hot spot. Any corner of rip rap is also good. That’s where most of the current comes around and leaves an eddy down the side of the riprap. Then the bass will stack in that eddy and use it as a place to ambush shad. When waves crash into the rip rap, look for bass hiding behind any bigger rock sticking out of the water. 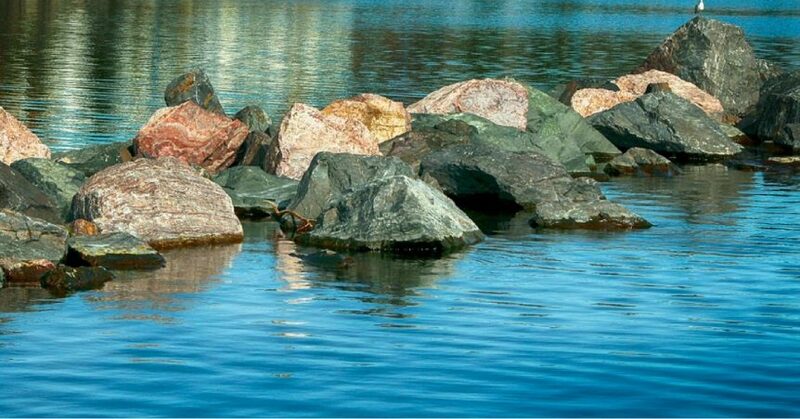 One predominant rock is almost a guarantee to be a fish-holding place. Other fish-attractors found along rip rap include lay-downs, brush piles, drainage pipes and culverts. The strike zone for rip rap bass is usually within 2 to 3 feet of the shoreline, but some hot spots exist in deeper water. You can locate these hidden treasures by keeping a vigil on your electronics. 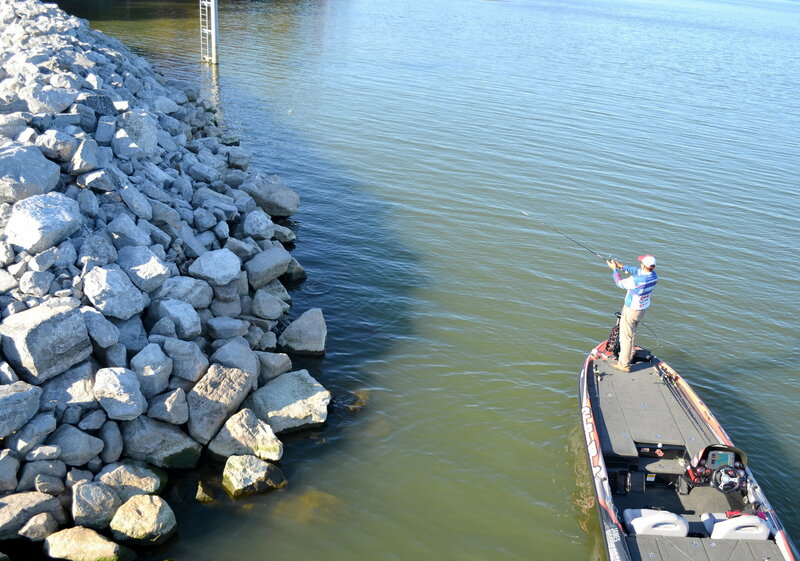 This allows you to find bass holding along the edge where a steep riprap bank flattens out on the bottom or on any sunken roadbeds that were originally used by dump trucks hauling rocks to the riprap. Watch your electronics while fishing riprap and you can find offshore structure such as channel swings, ditches and humps. You’ll notice where you’ll be in 8 feet forever and then all of a sudden you are in 12 feet or in 4 feet. That’s one of those irregularities you want to find. Lure choices for rip rap bass depends on the season. 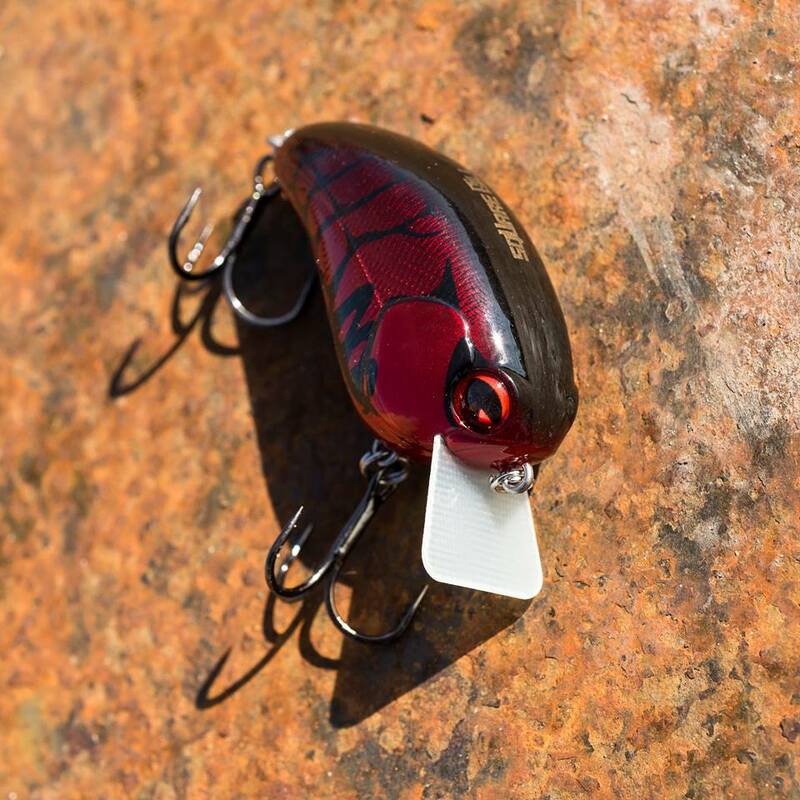 During the warmer months try topwater plugs, buzz baits, squarebill crankbaits and plastic worms. The best lures for rip rap fishing from late fall until the spawn in the spring include medium-diving crankbaits, spinnerbaits, jig-and-plastic craw combos, Texas-rigged plastic craw worms and suspending stickbaits.